Brighten the home with the peace and beauty of a bright blue ocean. 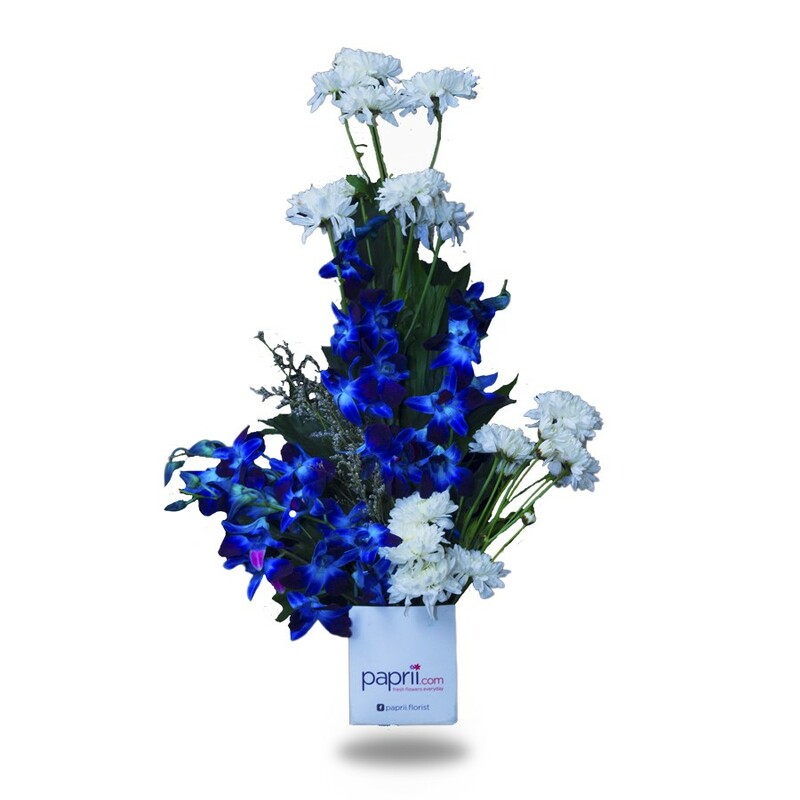 Our vibrant and beautiful bouquet, Dive in the Blue, is paired with pure white flowers with deep blue blooms gorgeously arranged in a cardboard cube. 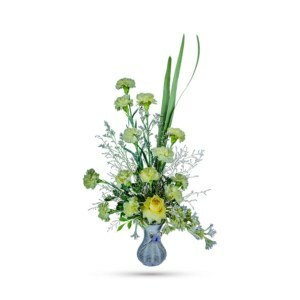 Blooms such as white chrysanthemums and blue hybrid orchids are accented with limonium and nature’s finest greens. 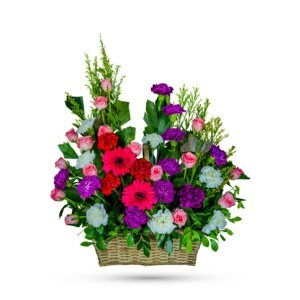 Like gazing into clear blue water, this serene arrangement soothes the soul and cheers the heart. 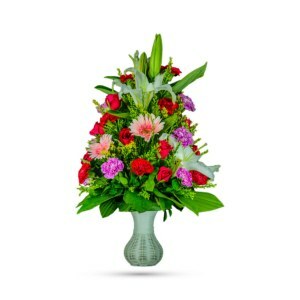 Order this ocean-inspired bouquet online today for your significant other’s birthday, your anniversary, Father’s day and many more special occasions. 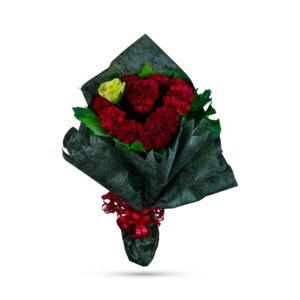 This will bring a wave of refreshment as ocean sprays to the person you love. My mom was very happy. Delivered on expected time. Thanks for your service. Need to purchase this one, looking very attractive.